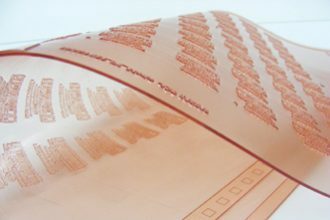 The Trusted Source for Flexographic Printing Plates. We offer a wide range of plate materials to meet our customers needs. A pioneer in the industry, quality is our highest priority. Quint Company has been supporting companies in producing medical packaging for over 25 years. The Trusted Source for High-Quality Design. Quint Co. has worked with packaging companies that serve some of the biggest names in the food and consumer packaged goods industries. Quint Company is a dedicated leader in flexo innovation. 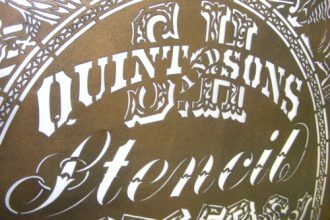 Focusing on continual improvement, Quint now manufactures quality digital photopolymer plates in a fully digital workflow. Every day, our highly tenured team demonstrates the core competencies of the Quint Company Pharmaceutical Division. Quint Co. is a manufacturer of high quality photopolymer flexographic printing plates, Hapa and Metronic print mats for the Pharmaceutical and Nutraceutical Industry and a pioneer in pharmaceutical blister packaging barcoding. The Quint Company produces highest quality Photopolymer plates, offering a wide range of plate materials to meet customer needs, with a plate room that operates under cGMP to insure that your plate requirements are met every time. Quint Company has been supporting companies in producing medical packaging for over 25 years. 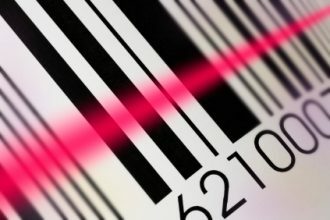 Our expertise in FDA-compliant bar codes is unsurpassed. 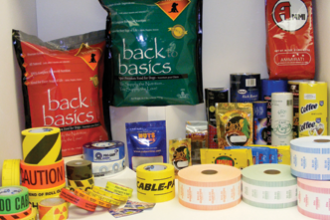 Quint maintains full standard operating procedures for blister-pack printing. Quint Company has been a pioneer of pharmaceutical bar code blister packaging for 30 years. Bar codes save lives. AMA studies report that 20% of prescribed medications taken by, or administered to, patients were of the wrong dosage. 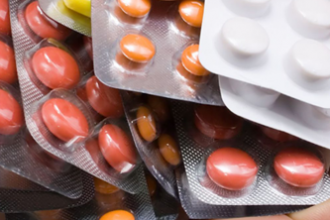 An estimated seven thousand deaths every year are attributed to medication dispensing errors. Nearly 90% of these could have been prevented by the use of bar codes on unit doses at the time of administration. The FDA has recognized the demonstrated benefits of bar codes and has mandated bar codes on all over-the-counter and prescription medications in hospitals, including unit doses. While there is no cure for illegible handwriting on handwritten prescriptions, bar codes eliminate human error in dispensing and verifying medications. A simple scan of the bar code can confirm the correct medication and dosage. When used with bedside scanning of patient wristbands, unit dose bar codes also help ensure that the right patient is getting the right medication in the right dosage at the right time. Bar codes also help keep health care costs down by providing a quick and accurate way to track and control pharmaceutical inventories. It all begins with the bar code. And the bar code begins with the platemaking process. The GS1 bar codes used on unit doses have been designed specifically for use in limited spaces. They have been rigorously tested to ensure accuracy and printability. Understanding the data format and structure is a necessary first step. With so much depending on the printed bar code on unit doses, quality is a critical issue. An out-of-spec bar code may be an unreadable bar code. And a bar code with improperly formatted data may be worse than no bar code at all! Yet many companies invest significant amounts of money in implementing bar code labeling – and do it wrong. Once these are completed, bar width adjustment must be calculated. Each ink and substrate combination produce different results. In some cases, ink bleeds into the substrate; in other cases, it beads on the surface of the substrate. These differences may be minor or significant. The platemaker must understand these differences and provide test targets to be run on a specific press using a specific anolox roller, ink and substrate combination. Printed test images can then be used to calibrate the image creation and platemaking process. The bar code imaging system must be calibrated each day and for each new batch of material. Only when the system calibration is completed should the platemaker proceed. The platemaker must ensure that the bar code image in every step of the process will result in a plate that will produce a high quality printed bar code. Printing bar codes is very different from printing human readable text. Small variations in ink coverage do not significantly affect human-readable text but they can make a bar code unreadable. Most pharmaceutical packaging lines are quite skilled in producing good quality human-readable text. Very few are experts in producing good quality bar codes. Unreadable bar codes waste healthcare workers’ time and, in certain critical care situations, may hinder the efforts of health care professionals. Even a perfectly printed symbol may be of no use to the health care provider if it has the wrong data or format. At worst, an incorrect bar code may corrupt the medication database and patient record. With lives at stake, there is no substitute for total bar code quality. Printing GS1 bar codes on unit dose packaging requires a platemaker with knowledge of the symbologies and standards as well as a total commitment to quality. Total bar code quality begins with you, with your information systems, purchasing, printing and packaging/graphics departments. Information systems must be able to provide correct product identification to the platemaker for each medication and each level of medication packaging. Purchasing must recognize the need to use a knowledgeable platemaker, not the lowest bidder. Printing operations must work with the platemaker to determine the print parameters for every press, ink, substrate, and bar code. The proper ink and substrate must then be used for every run. Packaging/graphics must inform the purchasing department or platemaker if there are any planned changes in press, ink or substrate. 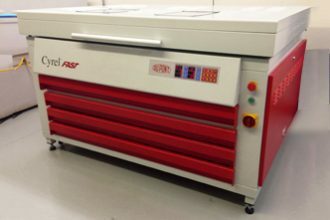 There must also be a single, knowledgeable contact person within your company who can answer any question about the order that the platemaker may have. The platemaker’s responsibilities are no less demanding. The platemaker should operate under cGMP-like guidelines. This is your assurance that the platemaker’s processes and procedures comply with the highest standards. The platemaker should have process control and documentation procedures in place for every step of the operation from order entry to delivery. Data and bar code image should be validated and verified at every step and proof of this validation should be provided with the finished plate. The first two problems occur when customer-supplied data does not conform with guidelines. Data and format checks by the platemaker must identify these errors. The last two problems results from improper compensation for the output device or for the expected bar growth or shrinkage during printing. Quality assurance before and during image creation and platemaking, and verification of the symbol, must be in place to prevent this. Bar codes are governed by a set of rules called a symbology specification. The FDA has issued its mandate for linear bar codes on unit of use medications, recognizing both EAN.UCC and HIBCC standards and quality requirements. The EAN.UCC system includes a family of advanced GS1 bar code formats specifically designed for unit dose (blister) marking and other applications where space is extremely limited. GS1 will be used on unit dose medication to encode primary product identification. This is a “conventional” linear bar code. GS1 Stacked also encodes primary product identification but is a more complex symbol. The data is “stacked” in two pieces on top of each other. It is used when the GS1 Limited symbol is too wide. GS1/Composite is even more advanced. It will encode both primary and secondary product information such as lot/batch and expiration date. 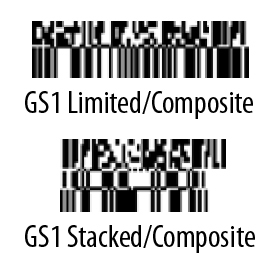 GS1/Composite combines a multi-row bar code symbol above an GS1 Limited or GS1 Stacked symbol. HIBCC standards provide MicroPDF417, a “stacked” bar code symbology, for small space marking. Understanding the data format and structure is a necessary first step. EAN.UCC and HIBCC standards include: data content, structure and format; symbology choice (bar code); check digit calculation; and print quality. Bar code image quality is defined by two different ISO standards, one for the film master and one for the printed image. Quint Company equipment and processes conform to all these requirements.